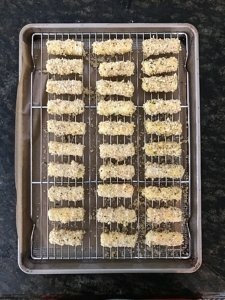 A few weeks ago when I shared my zucchini fries, several of you asked for a recipe for mozzarella sticks. 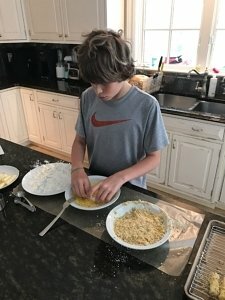 I had never made them and my son had only tried them once so I thought it would be fun to track down a recipe. I found a great one! 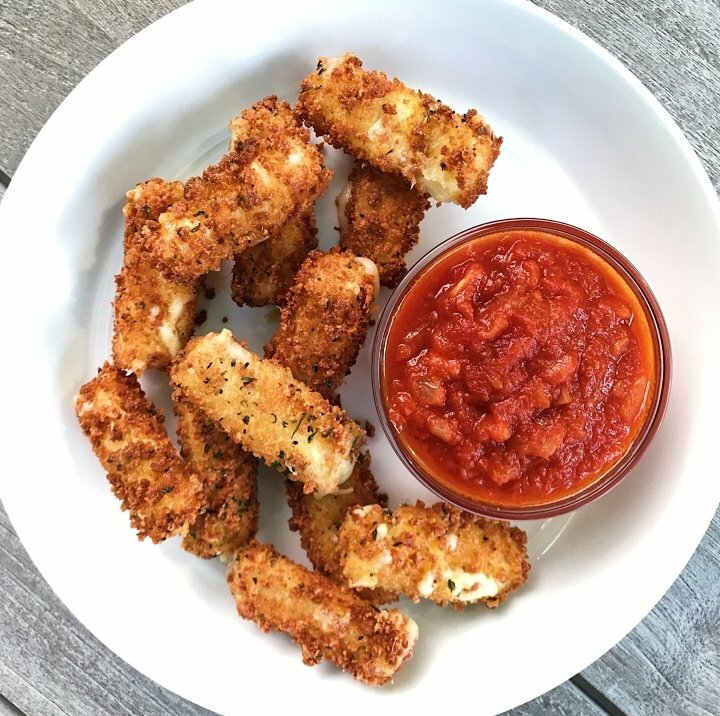 Recipe from Bon Appetit, these Mozzarella Sticks with Spicy Marinara Dipping Sauce were a real treat. The mozzarella is breaded in gluten-free flour, gluten-free panko, and lots of Italian spices! They were warm, crispy on the outside, gooey & cheesy with every bite and so yummy! They were also remarkably easy to make and my son helped. I think the key to keeping them together was that after they are breaded they are transferred to the freezer for an hour before deep frying. Definitely a treat worth trying!